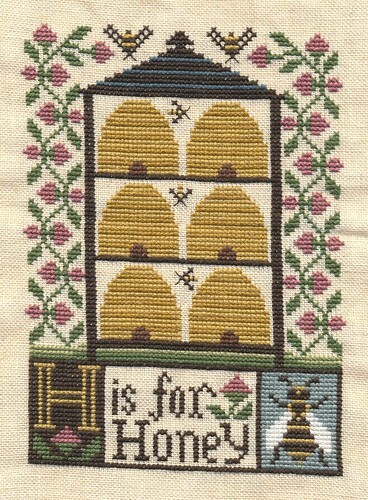 I finished up H is for Honey (bee) last night. I have been so tired lately, so I haven't been stitching much at all. I got a little spurt of energy yesterday and was determined to get it finished.